Support the Blog, Get a Shirt! Hey everyone! I really want to thank you for visiting the site time after time. We hit a new record with thousands of visitors in the last month alone! So thank you. Today I decided to create a limited edition shirt that you can own! Our goal is to sell 50 shirts and hopefully even more. 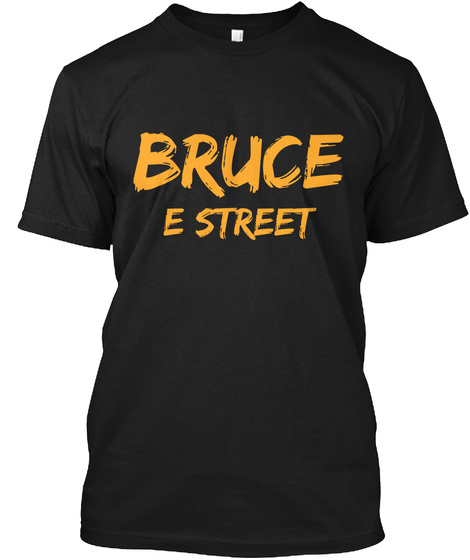 I created a great looking Springsteen shirt that any fan would enjoy! Please support the site by pledging to buy a shirt, I would greatly appreciate it. We need to hit our goal before the shirts will be made and shipped out. Also, your credit card won't be charged until we hit the goal for the shirt. So if you want to support the blog while getting a great, limited edition gift you can click here. Thank you so much for reading and thanks for supporting the blog! Update: We have made two other shirts for specific cities from the 2012 Tour.